Fresh oatmeal cookies are second to none, in my opinion. Pure organic extra virgin coconut oil is one of the most stable and healthy forms of saturated fat and lasts for years, even beyond the expiration date. It is solid at room temperature and only begins to liquefy above 76°F. It does not need to be refrigerated and can be stored in liquid form or solid. Buy online now for a great price! Smooth, melt in your mouth delicious and light organic coconut oil. Can be used for all types of cooking as a substitute for butter.. So I have a sweet tooth, always have and always will. 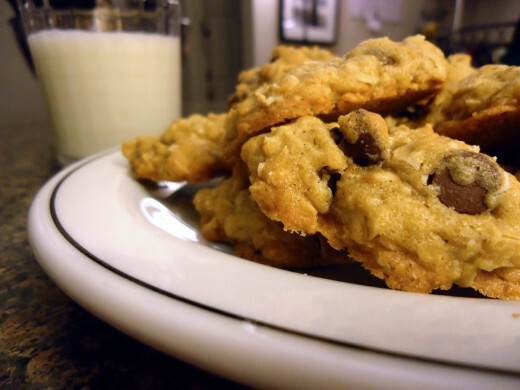 And I love Oatmeal Chocolate Chip Cookies made with coconut oil! But I am also an advocate of balance in regards to nutrition. So I started playing around with a recipe (to try to give it a healthier spin), and what I came up with has gotten rave reviews from friends and family. 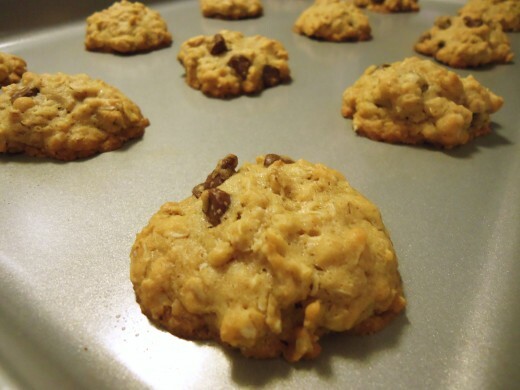 I really wanted to make butter-free cookies, and after a little research, I discovered pure unrefined coconut oil (a natural and healthy saturated fat). It works like magic and is good for you in so many ways! 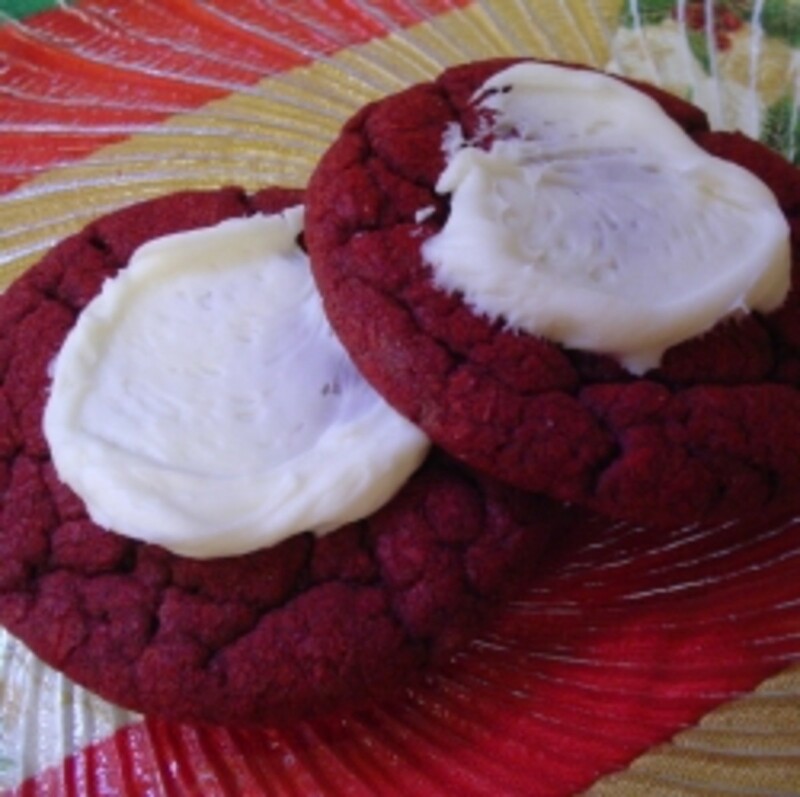 Plus it adds great flavor and makes the cookies nice and light. Beyond that, I use slightly less chocolate chips, and incorporate flax seeds for added fiber and a little Omega-3 fatty acids. 1 1/2 Cups All-Purpose Flour, I use King Arthur brand. 3/4 - 1 Cup Chocolate Chips, Sometimes I just use a handful or two. Keep each cookie about 2-3 inches spaced apart. Mix 1 tablespoon of ground flax seed and about 3 tablespoons of water, stir until it starts to thicken and hold together. Replaces 1 egg. Alternatively, you can use ¼ cup unsweetened applesauce, or ¼ cup mashed banana. ¼ cup replaces 1 egg. Preheat Oven to 350 Degrees(F). In a large bowl, combine White Sugar, Brown Sugar, and Coconut Oil and mix until sugar is completely dissolved. Add egg substitute and Vanilla to the bowl, and beat mixture with a spoon or whisk until fluffy. Add Flour, Baking Soda, Cinnamon and Salt to the bowl and mix until they are completely saturated and blended. Add Oatmeal and a pinch of Flax Seeds to the mixture and combine all ingredients. Finally, add Chocolate Chips and stir to evenly distribute. On a large cookie sheet, use a spoon and butter knife to place 1x1 inch blobs about 2-3 inches apart. Place cookie sheet in preheated oven and bake for 7-8 minutes. I find that less is sometimes more when it comes to baking time, especially if you like chewy cookies instead of crunchy. 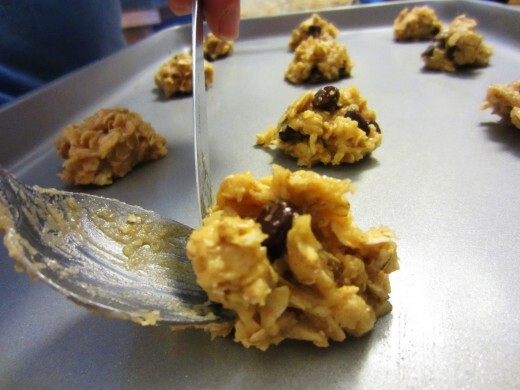 Now remove cookies from baking sheet and place them on a cooling rack or piece of foil. Enjoy! The cookies should not flatten out too much when baked. All good cookies must come to an end... but you can always make more! Now Pour a Glass of Ice Cold Milk and Enjoy! 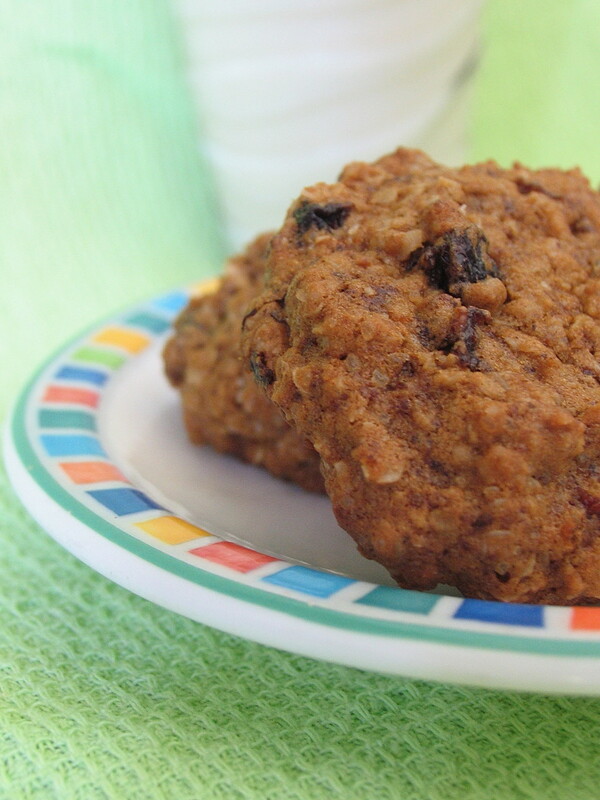 What do you like in your oatmeal cookies? 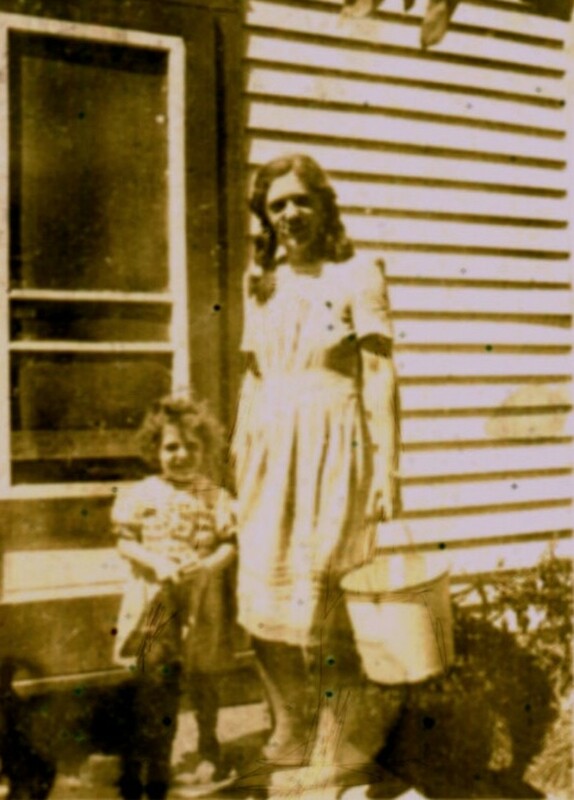 Now, how about some homemade iced coffee? I'm not a fan of oatmeal cookies...but these are literally my new FAVORITE COOKIES!!! my entire family LOVES them! I did use an egg instead of ground flax (only because I didn't have any on hand) and they were still amazing! One of my favorite types of cookies. I'll have to give this recipe a try. I just made these cookies, I was in the mood for oatmeal cookies and looked up how to make oatmeal cookies with coconut oil. Omg these are soo good except I changed the chocolate chips to dried cranberries. Soo good Im going to be using this recipe from now on! J. Roy, happy to hear they turned out well for you! They are simple, yet delicious and always a hit ;) I plan on posting more hubs soon, been quite busy lately. 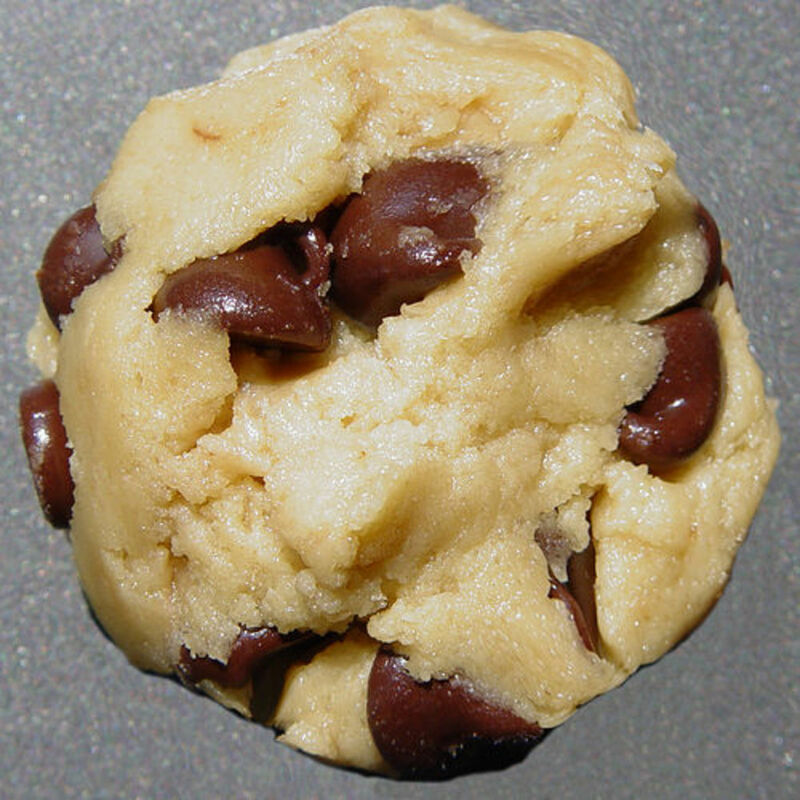 This recipe is excellent, never have I tried a better cookie. I bake cookies a lot at Christmas and get frustrated with flat cookies. This recipe did not flatten and tasted divine!!! Post more excellent recipes, please!! ptrg777 , yeah I've been trying to use coconut oil for a lot of my cooking. Using fresh high quality oil makes all the difference in the world. Currently I'm using Natures Way EfaGold Coconut Oil. It smells great and is really smooth. There are many others, like Garden of Life or Nutiva, and it's great if you buy in bulk. Let me know how it works out! Definitely will be trying this recipe! I Love Chocolate Chip Cookies but with Coconut...UGHHHHH that just leaves me drooling! 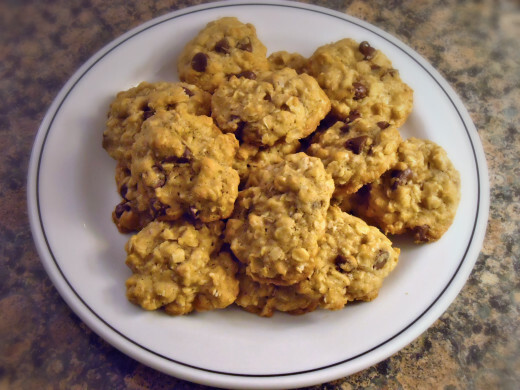 I finally got the chance to bake your chocolate chip oatmeal cookies this weekend and I found them absolutely delicious!!!!! Thanks very much for sharing this recipe, I will cherish it and make it many more times :D Voted up, useful and awesome! This recipe deserves stars. Great idea! I have plenty of coconut oil. I'm going to try them as soon as I get home! I like the idea of using coconut oil. It provides so many health benefits. This idea is cool because you get the coconut flavor without having to fight coconut flakes. This is a healthful dessert recipe I'll actually try. I think my husband would enjoy it and he wouldn't feel like he was being "cheated". I'm marking this. Voted up and shared! Sure thing jayfalcon ;) glad you liked them!